There is a huge benefit to knowing people who have followed and cellared wine for a number of years. 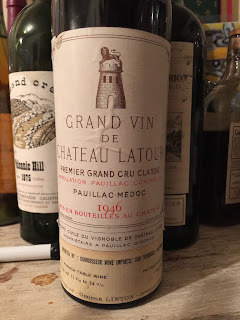 The first rule is that people with older cellars have in their possession many fine bottles and also some that have met their maker. A few of my friends who have handsome cellars are in the 50+ years old bracket. Their collection of wines start anywhere from the 1960's (or earlier) to vintages from the past few years. People who establish a cellar quite often have been in the wine trade and obtained their wines when they fell in love with a certain property or Chateau. When these friends gather they share those wines which they are most fond. More often than not the discussion becomes a bit of a history lesson for all parties. 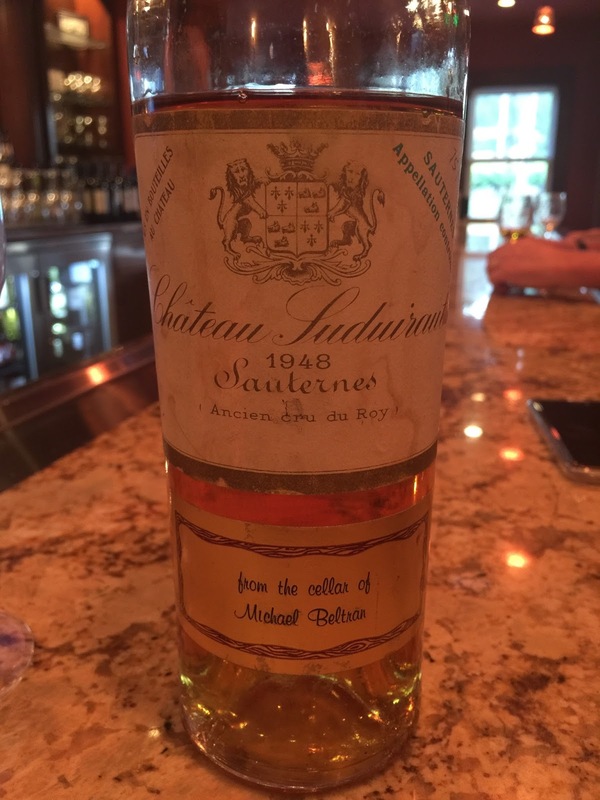 As a younger collector my first desire was California Cabernet and french Bordeaux. In the late sixties and early seventies it was possible to buy top quality wines for a modest amount of money. The level of interest was not at today's level. Wineries poured all of their wines and there was no tasting fee. There also were very few picnic grounds and top tier restaurants to visit. Sutter Home to name one winery made more than a dozen wines. French Sauternes were plentiful and quite reasonable. Older vintages were often available in notable vintages. Burgundies were plentiful as the a run of good vintages combined with a strong American dollar made it easy to purchase high quality wine for not much more than upper level domestic Napa Cabernet. Put all these factors together and it was a perfect time to be a consumer. The Heublein Auctions also powered more interest into fine wine. The Paris Tasting and White Zinfandel. Two major changes to California and the national wine scene came with the Judgement of Paris and the advent of White Zinfandel. American wine culture gained instant recognition with the results of the Paris tasting and the race was on to compete with the best wines of France. Cabernet and Chardonnay became every day words and were a form of wine wisdom from people with limited experience. This was to the benefit of society as more and more people began to switch from beer and hard liquor to wine. What once was a beverage of the well to do now became wine for the masses. Solid well made wine was available for reasonable prices. In the past 40+ years vineyard acreage and wineries have exploded all over California. Sutter Home started the White Zinfandel model and never looked back. The wild growth of this popular wine gained millions of new wine drinkers. In the process Sutter Home cut down the number of wines produced and focused on growing its brand and started to acquire other wineries which needed capital to improve. Today they are the American success story. A family business which it still is has grown into a multi million dollar business which has branches all over the United States and in foreign markets also. Some of the pictures above show wines that were shared over dinners and special events with friends. The joy of wine is in the ability to share with others and experience not only the wine but conversation of what the wine represents in the course of history. People with cellars are open to sharing bottles when they believe that the people at table have an interest and some level of appreciation of what is being served. I have enjoyed a number of wines which I could never acquire but were poured with the knowledge that the wine was a treat on many levels. Vintage on a bottle is often used to celebrate: birthdays, anniversaries, graduations and many other forms of celebration. My suggestion is to share wine and develop a core of like friends. Over the years you will learn from each other and widen your horizon with respect to wines from all over the world. There is always a good wine on the market at a price that meets your needs. Start a tasting group and watch your world open up. Remember wine is all about people and friendship.